‘The Amazing Spider-Man 2‘ will be hitting theaters May 2nd, 2014 with Andrew Garfield returning as the web-slinger and Marc Webb returning as director. Jamie Foxx will play the villain Electro and Paul Giamatti will play the villain Rhino. Also, Chris Cooper will play Norman Osborn, which will turn into the Green Goblin. I’m betting in part three we will get the Green Goblin. 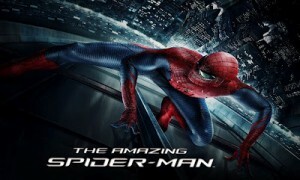 Last year, ‘The Amazing Spider-Man‘ made over $750 million, and I bet Sony is betting on a cool billion for part 2. The third film will be released on June 10, 2016, and the fourth film will hit theaters May 4th, 2018. Hopefully these actors won’t age too much as they will still be playing high school kids going into college well into their 30s. Spidey fans rejoice. This entry was posted on Monday, June 17th, 2013 at 2:55 pm	and is filed under Comics, Film, News. You can follow any responses to this entry through the RSS 2.0 feed. You can skip to the end and leave a response. Pinging is currently not allowed. « Funny or Die Is Going on Tour With Dave Chappelle and Flight of the Conchords! !